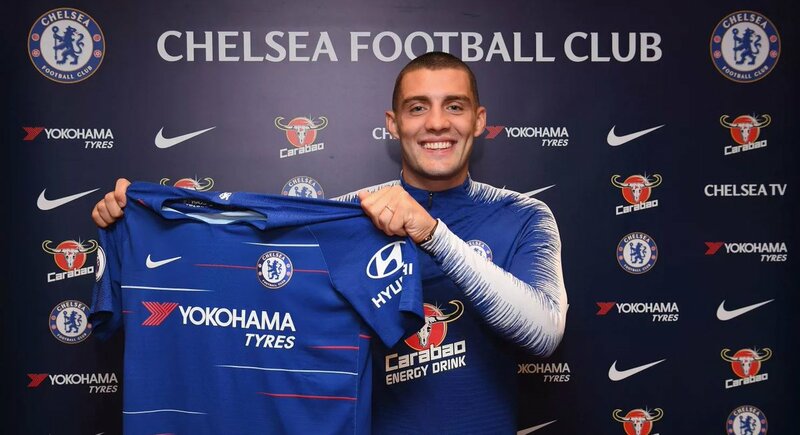 Mateo Kovacic has joined Chelsea from Real Madrid on a season-long loan deal. The 24-year-old Croatian international arrives with experience having featured regularly in Serie A, La Liga, the Champions League and at international level. He played five games during Croatia’s run to the World Cup final this summer. Upon arriving at Stamford Bridge, Kovacic said: ‘I am really happy and excited to be here at Chelsea. It is an amazing feeling. I will try to do my best for this club. Kovacic is a ball-playing central midfielder who thrives on quick combinations. He combines hard work with skill in possession and penetrative passing. He can also play anywhere across the midfield. Kovacic caught the eye from a very early age, and after joining Dinamo Zagreb’s academy as a teenager, it wasn’t long before he had established himself in their first team. He scored on his senior debut aged 16 years and 198 days, becoming the youngest goalscorer in the history of the Croatian top flight in the process. He got his first taste of elite European football during his two-and-a-half years in Dinamo’s first team, and he remains the second-youngest player to have ever scored in the Champions League after netting against Lyon at just 17. Kovacic left Dinamo for Inter Milan in January 2013 having won a pair of league and cup doubles with the Croatian giants. His performances at such a tender age, including in the Champions League, had made him one of the hottest properties in Europe. His first half-season at Inter was so impressive he forced his way into the starting XI and he picked up the club’s young player of the year award. After two more seasons at the San Siro, Real Madrid came calling in the summer of 2015 and with the Nerazzurri in financial difficulty, they had little choice but to sell one of their star assets. Kovacic headed to the Spanish capital having made almost 100 appearances in Italy. He had just turned 21. With fierce competition for places at Real Madrid, Kovacic has more often than not featured off the bench during his time at the Bernabeu. Despite that, he has maintained regular playing time and has accumulated over 100 appearances during his three years with Real, including in the Champions League, which Real Madrid have won every season since Kovacic joined. Among his other honours won are a La Liga title and a Spanish Cup. He already has 46 international appearances to his name since debuting in 2013, and along with playing his part this summer as Croatia entered unchartered territory, he started each of their games at the World Cup in Brazil four years ago.